The 2011 Spring Meeting of the Tohoku Geographical Association was held on May 14 and 15, 2011 at Sakura Hall, Katahira Campus, Tohoku University, Sendai, Japan. Despite the concerns over aftershocks and inconveniences still observed two months after the March Disasters in one of severely damaged cities in Tohoku, a total of 43 paper presentations were discussed with more than 130 fellow geographers coming from all over Japan. Among those, dozens of excellent papers were presented regarding the damages of the quake and tsunami, relief efforts, medical cares, roles of geography, and implications for future recovery and revitalization efforts for the areas affected. These include reexamination of sediments and distributions of three giant tsunamis, this year's, and ones occurred about 1,000 and 2,000 years ago, the analyses of landslides triggered by the 3.11 quake and aftershocks, and also the damages caused on the developed residential communities in Sendai, Shiroishi and Fukushima cities and damages on elementary, junior and senior high schools in Miyagi. The use of remote sensing data for the disaster response was also discussed while the issues related to the roles of local media and journalisms were examined from geographical perspectives. Other paper reported the local people's response and state of evacuations in the affected regions as well as the examinations of supplies and distributions of pharmaceutical products and intra-urban networks in the Tohoku regions. More details on these disaster related studies will be available on this website soon. Local nonprofits and volunteer groups that responded to the disaster relief efforts also joined the spring meeting as poster presenters, along with such research organizations as National Research Institute for Earth Science and Disaster Prevention. 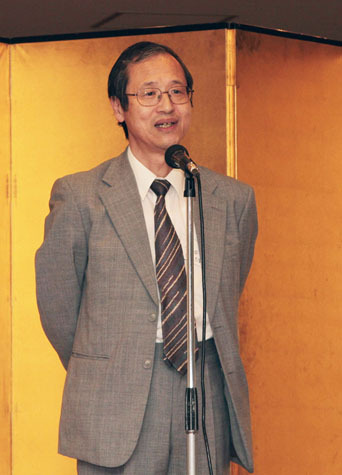 Meanwhile, the TGA has appointed Professor Tadashi SUGIURA, social and cultural geographer at Iwate University as its President assuming the position in May 2011. 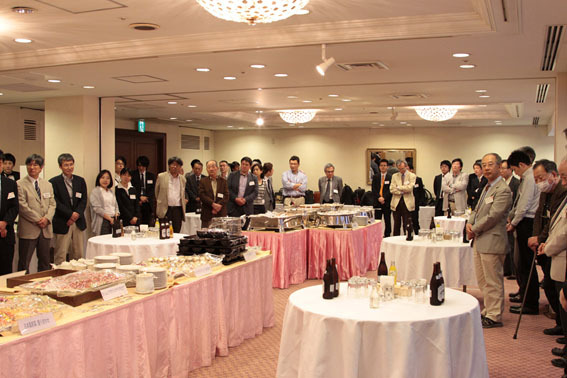 President SUGIURA said at the reception speech on Saturday, "I will do my best in putting all resources together to strengthen TGA as an important academic organization and to make every effort in assisting our members' disaster related studies which will be inevitably one of our main focuses during my tenure." 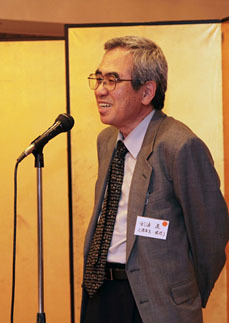 Former President Kiyotaka SAKAIDA, climatologist and professor of Tohoku University, who took a leadership role in the initial responses to the disasters since March will continue to serve as the chairperson of the Disaster Response Committee of TGA in supporting the disaster recovery research efforts by its members. The Association has also decided in the meeting last week that it will host this year's fall meeting in Miyagi Prefecture, mainly under the theme of the disaster. The details will be announced later. TGA's 2011 East Japan Earthquake Bulletin will continue to share our latest frontline research efforts by the TGA members. Stay tuned for updates on on-going research projects as well as upcoming events in Tohoku.